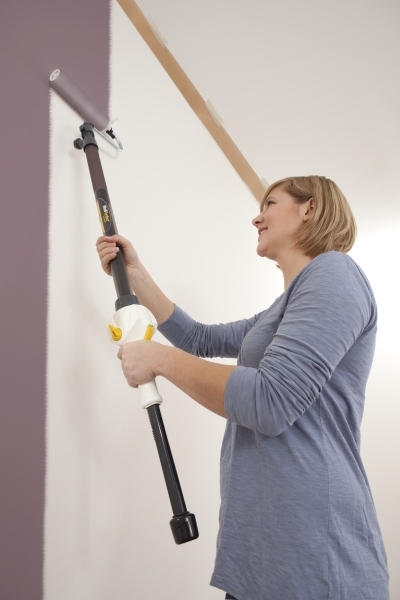 With its strong, battery-powered motor, the TurboRoll ensures a faster finish to the job. One simple push of the power button automatically pumps paint into the integrated tank so that you can start work at once. Choose your own working tempo and easily decorate your walls, ceilings and facades to your liking. Examples of interior projects: walls, ceilings. Usable material: All sorts of dispersion paint and emulsion paint.